Exponential Talent offers connections to a variety of resources that can help organizations improve diversity and inclusion, start the talent management journey or reinvigorate a stalled effort. Read more about Exponential Talent and our approach. 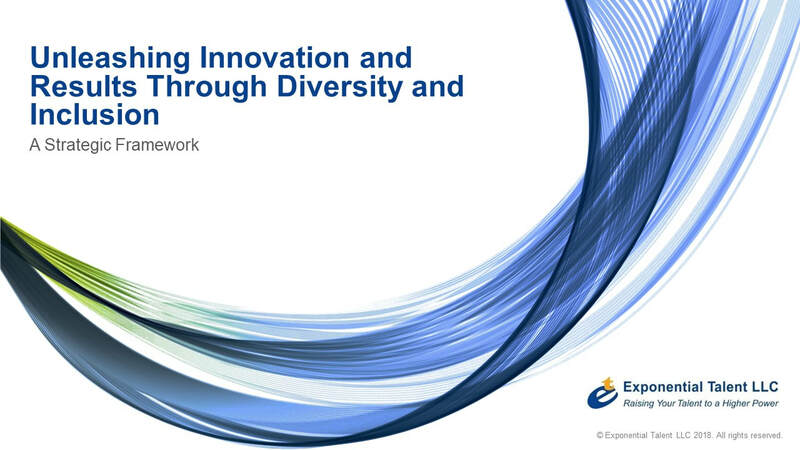 Innovation requires a diverse mix of people and a set of inclusive cultural values. Companies begin their inclusion journeys in different places. Combining diversity and inclusion, and change sustainability around your business value, you build a robust framework for your D&I strategy. In building an inclusive workplace, accountability is a critical change mechanism. Progressing diversity and inclusion is a long-term journey of change. Critical elements include leadership, metrics, communications and education and dedicated resources. 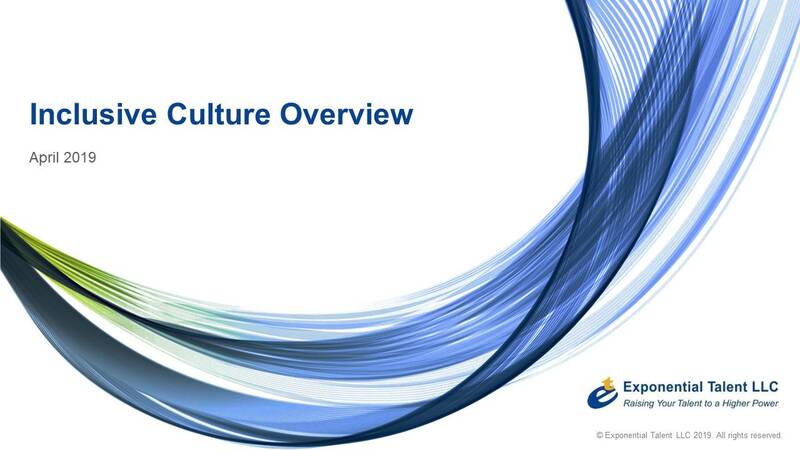 Other common elements are employee communities, external partnerships, and/or engagement with the corporate brand. ​Unconscious bias creates a barrier for diverse employees robs organizations of innovation and performance. Exponential Talent LLC 2019. All rights reserved.